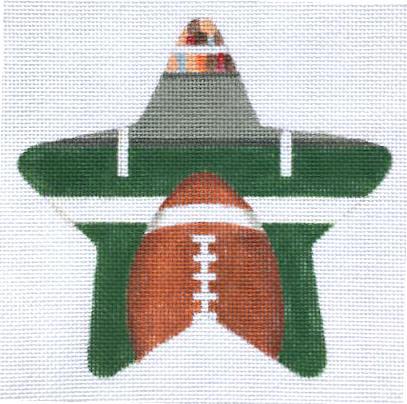 A Football needlepoint star ornament by Raymond Crawford sold canvas only or with fibers. A perfect gift for the football player or fan in your life. HO1368. If you pick Threads - T - we will send mainly silk and a smattering of metallic threads for holiday sparkle; cotton - C- we will send cotton stranded floss.